IGN’s Fran Mirabella was able to interview DeeJ and asked some excellent questions. We learned some brand new details, outlined below, and got a look into the first story mission! This article outlines the highlights from the interview and our thoughts about them. “You’ll take your first step into The Taken King at the level that you’ve attained.” Also, if you’re below level 20, you’ll be boosted “to the appropriate level” (20?) for free. Light, while no longer contributing to level, is still a trustworthy indicator of your power. Missions will have a notice to the effect of “Recommended Light” which will ensure that it will be doable from your current Light amount. Higher quality gear will increase your light, which will increase how much damage you can take and deal. Thoughts: Still too non-specific to have many thoughts. I’m certain that Level will play a role in certain aspects of your strength and aptitude for TTK’s challenges, but Light sounds like it’s going to be equally important. If gear no longer dictates level, but light is still essential, as DeeJ noted, then have they really changed much? I’m guessing yes, but we’ll just need to see how in a future update. Your character can then progress toward 40, with higher level players getting an early head-start as a reward for their investment. Thoughts: The perfect system, honestly. Those of us who have put in more work get a bigger head start. Of course, I have a feeling the levels will come easily and quickly for the under-leveled, so it may not prove to be much of a head start in the long run. Either way, a hard reset to some static level for every player would have been excessive. To aid newbies, all players will be given a “boost” to the “required level” to play The Taken King. While this won’t help those of us who are already at or past that “required level,” it will be a big boon to anyone who just started, or veteran guardians starting a new character. They can “skip” all of the Year 1 missions and get right to the new stuff at an appropriate level. 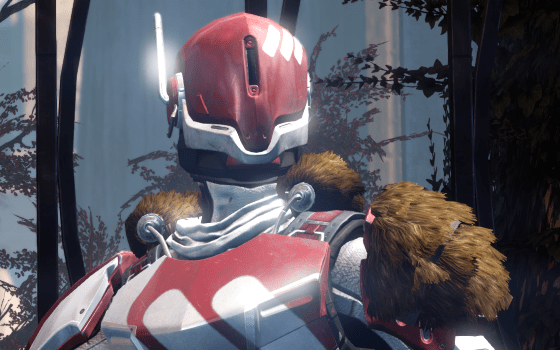 We also wanted to make sure that players who may have never even played the game at all [were] immediately [able to] participate in the events of The Taken King, particularly because it might very well be the case that [between] two friends, one friend might be just beginning and one friend might be at a high level, and we wanted them to be able to play together. You’ll pick up this special “boost” consumable from the Tower, ready for use on Day 1. Maybe Tess Everis will finally have something to do. Poor Girl. Thoughts: Seems a shame to incentivize missing out on all of Nolan North’s new vocal work, but there’s no way old players will want to have to trudge through “Eyes Up, Guardian” and all ensuing missions when they’re champing at the bit to try out a new subclass. For the newbies, they’ll be missing out on all the old stuff, but can jump right in with the rest of us. I’m glad it’s a consumable and not imposed. There will be class-specific items, beyond the usual “class items”, such as weapons that can only be used by a Warlock. Very little is known about these weapons, but it’s safe to say they’ll be suited to the class beyond a conventional weapon. To the Vendors in the Tower, Bungie is delivering “The largest arsenal that Destiny has ever seen” with new TTK weapons and armor. Thoughts: Good. Let’s hope that these weapons are new, exciting, and with a host of interesting and useful perks to incentivize us to drop our old guns and move on. 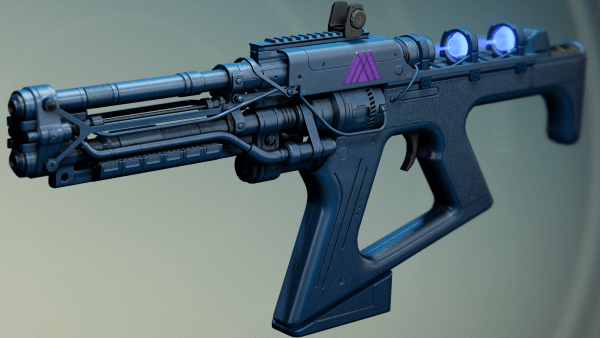 I’m going to be clinging to Fatebringer if I see re-skinned Auto Rifles with useless perks for as long as I can. After you “pledge allegiance” to a faction, you’ll unlock a series of faction quests specific to whomever you pledged. This means if you’re aligned with Dead Orbit, Dead Orbit will have some bounties for you to complete to gain reputation and possibly other rewards. Thoughts: An excellent change! I love the idea of having a more diffuse quest spread; it makes sense that different factions and different people would want different things. There’s no need for the main story and Vanguard bounties to be the only way to complete quests, and hopefully it will add some personality to the factions. More Vault space? Again very few specific answers. DeeJ promises a full walkthrough of the Tower to see how it function as a social space in TTK. No promise of more space, but DeeJ mentions new systems (‘kiosks’) to help manage the impulse to collect new and old – whether this means you’ll have to make some sacrifices, DeeJ didn’t specify. Thoughts: It’s clear that, for whatever reason, Vault Space must be so intrinsically tied to the foundation of the game that any overhaul is a massive bugfest waiting to happen. Bungie would stand to gain nothing and just continue to make players irritated by withholding this feature, but with the announcement of Shader/Emblem kiosks that preserve your spoils across your entire account, and other “new systems” that will be revealed in a Tower walkthrough, Bungie is genuinely trying to creatively work around the issue they created. Pragmatically, we can’t ask for much more. We’d all obviously love to see Vault Space magically tripled and be done with it, but if it can’t happen, then I think Bungie is doing the next best thing. 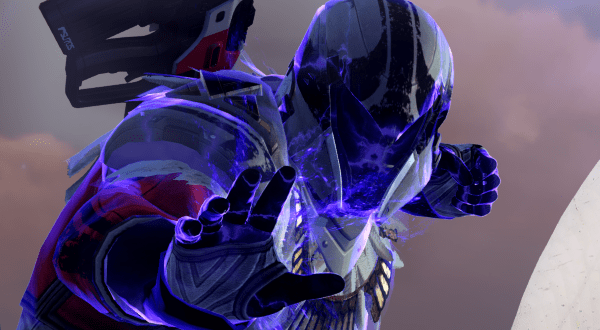 We got a good look at the “Impulse” that Cabal Taken Phalanxes can unleash. They appear to have a shield that absorbs projectiles, and then can deliver a powerful physics impetus that knocks all players in a fairly wide vicinity straight back as if they were pushed from close up. Thoughts: Looks cool and deadly. I imagine it will be a huge pain in areas in which you’ve chosen specific cover or where there are environmental (read: falling) hazards. Captains: Solar shields, can throw out slow moving balls of darkness that blind Guardians. Centurions: Possess deadly tracking shots that can aggressively seek around corners. Wizards: Can summon “shadow thralls” for a zerg-like rush. Psions: Multiply if they are not quickly dispatched. Vandals: Deploy a Defender Titan-like Shield, that restores their health and is permeable to their fire alone. Thralls: Can teleport short distances. The Dreadnaught is explained in more specific terms. It’s a fully explorable space that includes the “King’s Fall” raid, not simply an instanced zone you land in for a specific mission. This means there’s more to do than just patrol bounties. You can engage in a player-instigated “Public Event” called the Court of Oryx. Thoughts: DeeJ tamed the rhetoric by calling it “large”. I’m hoping it’ll be sprawling, massive, and absolutely confusing. Providing only one explorable new space is a gamble on Bungie’s part, and the quicker the playerbase figures it all out, the quicker they’ll get bored of needing to go back to all the same places for their other bounties and quests. The Court of Oryx is “is NOT like Prison of Elders” but it does pit you against different combinations of bosses in different scenarios. Presumably there will be rewards, tiered or otherwise, for varying levels of success in this activity. Thoughts: Boss challenge! Will they be old bosses revisited, with Taken adds to step up the pressure? Will they have the same, unreasonable amounts of health? I’m really looking forward to the Court of Oryx, if only because it represents another unforeseen PVE encounter that may have some longevity depending on its rewards. Bungie is appropriately polarizing hand-holding. The fun stuff, e.g. the secrets of the Dreadnaught, will need to be figured out, but they’re making an effort to be more clear about the mundane and simple aspects of Destiny that contribute to a more comfortable playing experience. Thoughts: This is much-needed, and frankly I’m hoping it covers a whole host of problems that Destiny has. There are too many perks with vague, confusing, and sometimes outright contradictory descriptions relative to their effects. Mysterious mechanics like “accuracy” have zero explanation, and there are bugged out and useless perks abounding. The Dreadnaught looks like it’ll be a return to the VoG days, insofar as discovering secrets is concerned. I’m looking forward to all of the exploratory ventures that will no doubt be launched when TTK arrives. “Don’t dismantle your Year 1 weapons” as they’ll still be viable for current content. Crucible will still have a level playing field for any weapon, no matter its experience or ATK. Previous missions and instanced zones will not be scaled up, so Fatebringer is still the king for anything HoW, TDB, or Vanilla. Thoughts: It wasn’t really a satisfying answer. By hedging and equivocating, DeeJ’s answer was more annoying than helpful. If he had just said outright “Look, it’s time to move on. We’re sorry, we know it’s tough love, and you can hold on to it (or preserve it through some heretofore unnamed system) and use it if you want – but it can’t hang with the new stuff” then at least we’d have our directive. Unfortunately, he focused on scenarios in which new players “see” Fatebringer and wax nostalgic about a VoG they’ve never played and we’re somehow showing off our treasure in this imaginary instance, and that it would be still “very powerful” in the Crucible – as if it ever was. Here’s the reality: No, your old stuff is not going to be viable in the end game. The reasons for this may range from noble to mundane, but whether it’s game design or frustration from the development team, we’ll all be branching out very soon. Very few concrete answers and no real follow-up questions regarding Fatebringer and Taken King having weapons as memorable and as powerful. DeeJ points out that if Gjallarhorn was the best weapon for everything through 2 years, people would accuse Bungie of “design failure”. Thoughts: I was personally very disappointed to not hear the real issue of Gjallarhorn’s prevalence addressed. It’s not that we enjoy Wolfpack Rounds more than anything else. DeeJ got close when he said “there’s one best answer”, but he maddeningly never addressed the “problem” to which Gjallarhorn is the answer: their own content. Overleveled Raids, Majors and Ultras with too much health, Bosses that exist to consume your time, and more. The IGN interviewer also seemed impatient, pulling a face when he saw that DeeJ didn’t really have an answer, but not needling with persisting questions. If there’s one thing I want to know about TTK, it’s if we’re given any more incentive to put down Gjallarhorn and other OP weapons besides their nerfs.